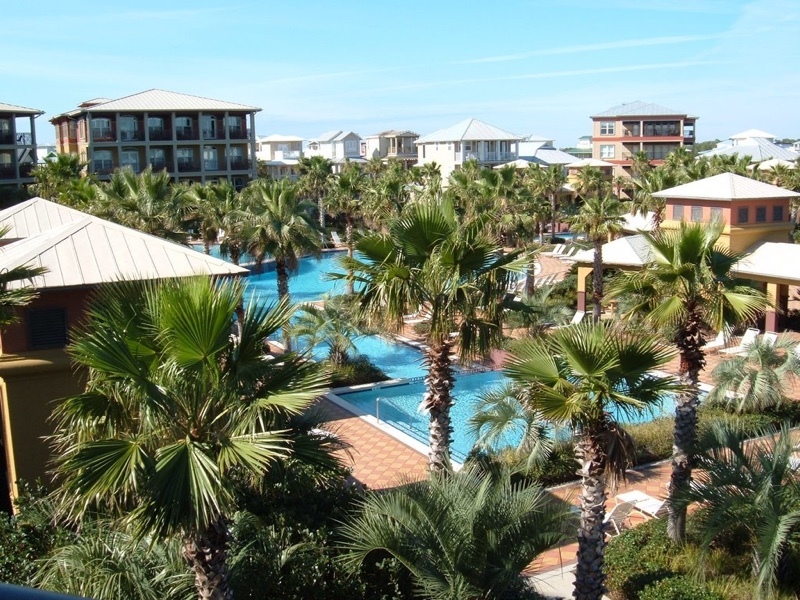 EZ Come…EZ Geaux is nestled perfectly in the Seacrest Beach area of South Walton, Florida. This “Beach Vacation Paradise” is wonderful for 1 large or 2 small family gatherings. A luxurious vacation home, a resort lagoon pool, sugar white beaches emerald green waters of the Gulf of Mexico…All are awaiting you! Inside, this 4 BR/ 3.5 BA vacation home is tastefully appointed through out, and comfortably styled for relaxation, fun and closeness of family and friends near the beach. The 1925 sq. ft. home takes up the entire first floor of the condominium building. The living area is expansive and open, making it perfect for social gatherings. It includes a seating area, dining table that sits up to 10, and a large kitchen with granite counter tops, and stainless steel appliances. Virtually every household amenity is available to make you feel right at home…away from home. Outside, the private covered patio is accessed from the living area. It includes a large seating area with a table for 6, 2 comfortable lounge chairs, and a wonderful view directly onto the 12,000 sq. ft. resort lagoon pool that is only 20 steps away…the largest pool in the Highway 30A area! Take either a short stroll (a block and then just across 30A) or grab a ride on the complimentary seasonal tram that will take you straight to one of the most naturally beautiful beaches in the world. Then top off the evening using the grill located just off the patio for your outdoor cooking pleasure. A variety of other fun-filled activities and attractions also await you. Biking, various water sports, family casual and fine dining, shopping, art shows and live music (seasonal) are within walking distance at the lovely Seacrest and Rosemary Beach Villages. Easy access to the Village of Seaside and other attractions across all of the Highway 30A coastal area are only minutes away. So “EZ-Come…EZ-Geaux” at Sable Pointe in Seacrest Beach, FL. Make it the memorable vacation destination with your family and friends that you deserve!